Yes... you know the drill. Grab a button, write a post full of juicy confessions, link it up, then visit some of the other blogs! 1. Husband and I are addicted to scramble with friends. So... if any of you have it, start a game with me! My username is Alyxgarner. 2. 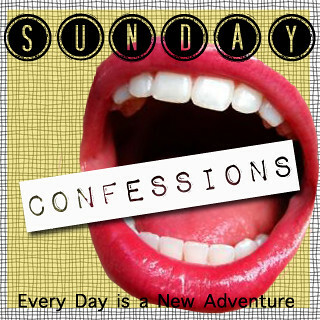 I didn't forget about Sunday Confessions this week!! Okay, so that's not a confession, but it IS pretty amazing, considering the fact that I'd forget my head if it wasn't attached to my shoulders. 3. I broke down and dyed my hair. Please, nobody ask me, "Is that safe when you're pregnant?" I'm not trying to kill my baby. Sheesh. 4. I'm too lazy to put pictures in this post. Last Sunday there was no post. This Sunday there are no pictures. Maybe next week I'll finally get it right. 5. I'm back to doing a little bit of design work. I'd taken a break once I started the full-time job and found out I was pregnant, but just started getting back into the swing of things last week. I'm currently working on Libby's blog, and am taking things one blog/project at a time. My turnaround time is not 2 days like it was back in the days where I didn't have a full-time job, but it's still something I enjoy doing, and if people are okay with waiting a week and half for their designs, then, by golly, I'm okay with doing their designs for them. woof, you are a busy bee! No judgment here on the hair dye, I wouldn't be able to handle that for 9 months! I dyed my hair a few weeks ago, and all seems to be fine. My hair person/sister-in-law assured me it was okay! Lookin' good girl. 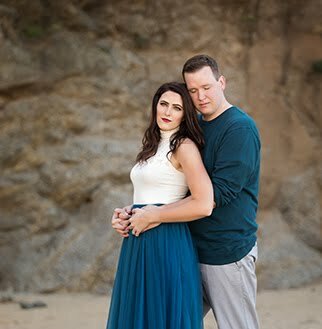 Scrolled down to see baby bump photos. Everything seems to look awesome! Glad you're back in design work - it's important to stay creative! I'm actually really glad to read your #5. Expect an email about it soon! Three. 3. Drei. Tres. Trois.